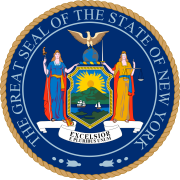 The 1804 New York gubernatorial election was held in April 1804 to elect the Governor and Lieutenant Governor of New York. Former New York Attorney General Morgan Lewis was elected governor over Aaron Burr, the incumbent Vice President of the United States. Although a Democratic-Republican, Burr was backed by members of the Federalist Party who wanted to see New York join the New England states in an independent confederation (see Essex Junto). This scheme was opposed by High Federalist Alexander Hamilton, the party's national leader. Lewis won the election handily and Burr subsequently killed Hamilton in a duel. What is the Vice Presidency?